"A true-life spy story of ultimate suspense. High speed and inconceivable bravery!" During the Civil War Union soldier Andrews volunteers himself and his men to go on a dangerous undercover mission. Andrews and his men must infiltrate Confederate territory and take over a train. Once they are on the train, the men have to drive it to Union territory while destroying the railway along the way. Now Andrews and his men must complete the mission before they are all captured. 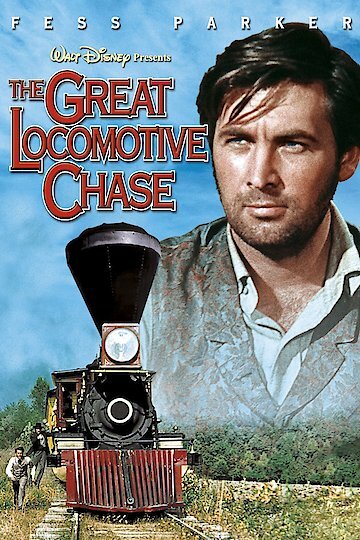 The Great Locomotive Chase is currently available to watch and stream, buy on demand at Amazon, Vudu, Google Play, iTunes, YouTube VOD online.